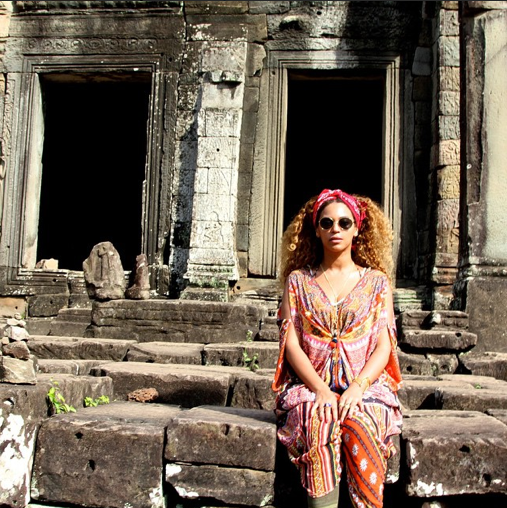 Beyonce has social media buzzin’ due to a picture she recently posted on her Instagram page! 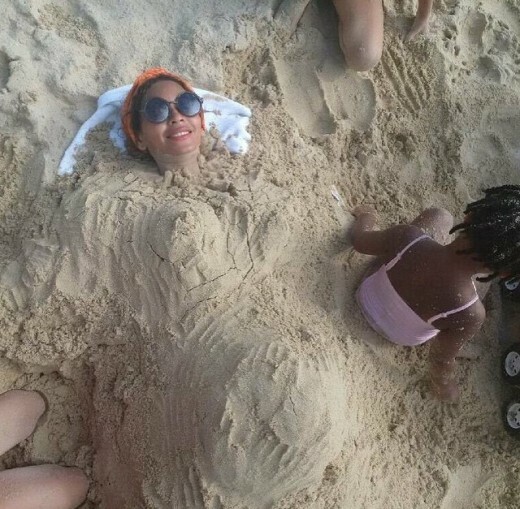 In the pic, you can see the back of Blue Ivy and the majority of Mrs. Carter body covered in sand! The sand was sculpted into what looks like a pregnant woman’s body! What do you guys think? Will Blue Ivy be an older sister? Comment below!